We'll be celebrating PURIM, the annual festival of a natural-miraculous victory, with a Communal Dinner, Spirits, Song and Story. Where: Kauai Jewish Center ~ "Hale Chabad" ~ 4531 Pouli Rd. 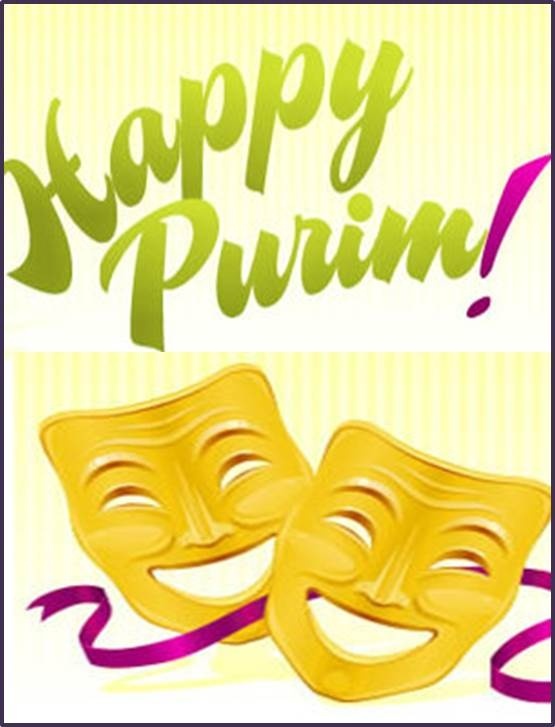 Come in Costume or Masks, in the Purim spirit. The Megillah - the story of Esther - will be read at 6:00pm, accompanied by a Slideshow presentation. Purim celebrates the under-cover miraculous story of how our people survived a near Holocaust, through the divine intervention and orchestration of Mordechai and Esther the Queen. It's a fascinating story and inspiring tale of our people's survival, with surprising relevance to today's climate. On Wednesday, there will be a Pre-Purim class at 5:30pm, titled " Do It Because You Care", personal touch makes all the difference. Shacharit on Thursday at 7:00am, followed by Megilah at 8:00am.